I spent all (school) day shopping today. I can't believe I spent the whole time at Dollar Tree and the 2 Goodwill stores in town. I'm excited to say that I found some really fun items that I hope are going to make my Alice in Wonderland Birthday party so fun! 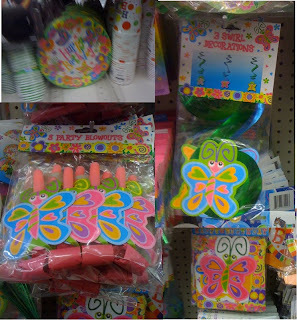 But I did find some cute items at Dollar Tree that can add some fun Wonderland excitement to my tea party. Most of this was in the Summer Seasonal section, so if you're planning a trip to Wonderland--Run, don't walk. 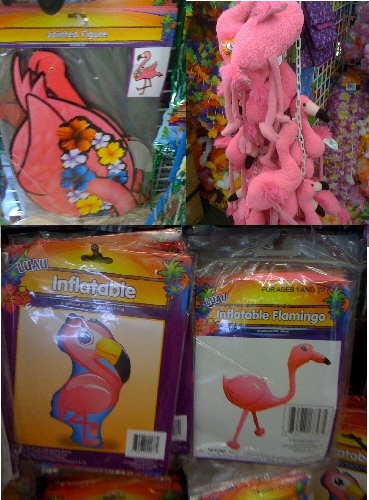 There were lots of Flamingo related items such as flamingo dolls, flamingo inflatables, flamingo stirring sticks, and flamingo wall hangings. 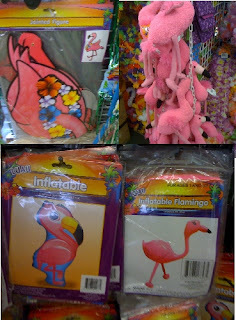 They even had those fun flamingo yard decorations, although they were a little small. My original plan was to purchase those and drill a hole in them to place a croquet stick on...but I'm too cheap to buy that many plastic flamingos. So I have a new plan, but it sure would be cute and easy to just buy them that way. Look at these cute Flower Straws they have. You can add a few googly eyes to the top of the flowers and have the Garden of Flowers at your tea party too! I'm hoping to have a big garden of flowers in a corner of the party...maybe near the photo shoot area. These pinwheel flower whirly gig ornaments would be so cute mixed into the garden. 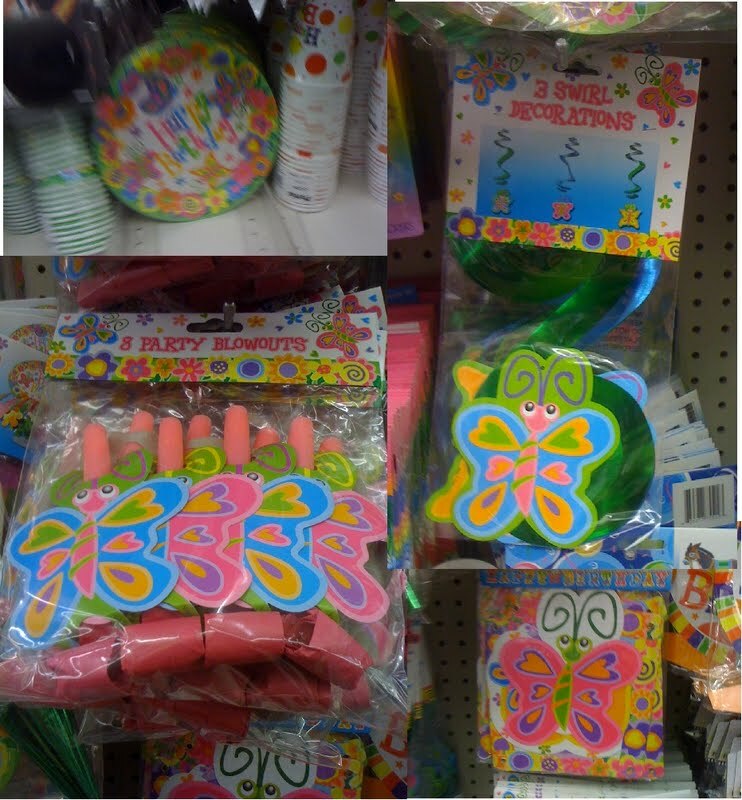 There are a lot of butterfly items right now in the party section. I don't know if these are there always or not since they weren't in the seasonal area, you could check. There was a set of plates, those blowout things, twirly butterflies that hang from the ceiling and more. Dollar Tree had cute bug candy that would fit in with a garden party theme. These would be super cute on your dessert table or even at each place setting. I LOVE these Smarties pastel colored Gumballs. They come in colors that would be perfect for a Wonderland party. I can't decide if I would best use them on the dessert table or as party favors. But I know I'm going to have to use them for something!